Pricing banners isn’t as simple as it seems. Variables in materials, design, and workflow efficiency affect whether a banner will be profitable and meet the customer’s quality expectations. Pricing a banner too low doesn’t give you much room for making adjustments if the client doesn’t like the way the finished banner looks. You also won’t generate the profits needed to keep growing your business. Here are some do’s and don’ts to consider when pricing banners. DON’T compete for jobs solely on cost per square foot. Clients buy banners simply on the basis of lowest cost per square foot can be duped into buying the wrong type of banner for their needs. They might not understand whether they are buying a banner made with a low-cost polypropylene or lightweight indoor-banner vinyl instead of a heavier weight outdoor scrim banner vinyl material. 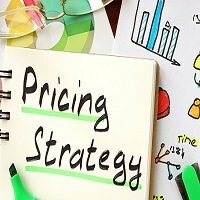 DON’T fool yourself into believing that a simple pricing formula (such as 3x the cost of your materials) will be enough to keep your business profitable. Without an in-depth understanding of all of your fixed monthly costs, your shop can lose money if your monthly sales volume fluctuates throughout the year.You will also lose money if most customers switch to lower-cost materials. DO use a formula that takes into account: 1) the cost of all materials used; 2) the time it takes to complete all facets of the job; 3) your hourly shop rate for each billable hour; 4) the cost of optional services such as design or installation; and 5) a markup. The hourly shop-rate at your facility will differ from that of other sign shops or print shops. A lot depend on where your shop is located and how many employees you have. DON’T underestimate how long it will actually take to produce a banner job. In addition to the time it takes to print the banner, consider how much time is spent estimating the job, setting up and approving the final design files, hemming the banner, adding grommets, and packing the banner for delivery. DO consider adding a markup your cost of materials. Although you can purchase banner vinyl at $0.50 per square foot, that doesn’t mean you should use that cost in preparing your quotes. Some material is likely to be wasted, particularly if you are printing a long, narrow banner on a wide roll of material. You can reduce waste by ganging up multiple jobs to run on the same roll of material. But this might not be possible if your customer needs the banner printed immediately. Consider charging material costs by linear foot, instead of square foot. DON’T overlook variables that can change the production costs. For example, add a design fee if the customer expects you to design the banner. Or, consider charging a higher rate for full-color banners that include photographs or banners that will be printed on both sides. Photographic or two-sided banners will consume more ink than a banner that only involves a few lines of text. A photographic banner that will be viewed up close in a trade-show booth may need to be printed at a slower “best quality” mode than an outdoor banner that will be viewed quickly from a distance. DO include a markup on every job. Your markup should be big enough to cover any unforeseen problems that crop up during production and ensure you earn a profit. To stay in business over the long run, your business needs money to pay the bills during slow periods and buy additional equipment and marketing services that can keep your business growing. DO offer discounts for high-volume or repeat customers. Some customers will be more profitable than others. You want to incentivize them to keep doing business with you. DON’T try to keep all of the numbers and formula to produce quotes in your head. A print business-management program such as Ordant software enables you and other members of your staff employees to produce profit-generating quotes quickly and consistently. Ordant can be customized for whatever pricing formula you choose to use.